This is pure indulgence. These paintings are so delicious I couldn’t resist a posting. Just imagine having ANY of them (especially the Hartigan, de Kooning or the Soulanges) on your wall at home… oh my! 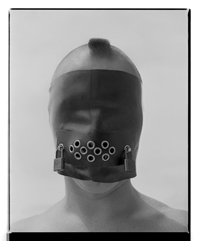 Many thankx to the Guggenheim Museum for allowing me to publish the pictures in the posting. Please click on the pictures to see a larger version of the image. “From June 8 to September 12, 2012, the Solomon R. Guggenheim Museum presents Art of Another Kind: International Abstraction and the Guggenheim, 1949-1960. 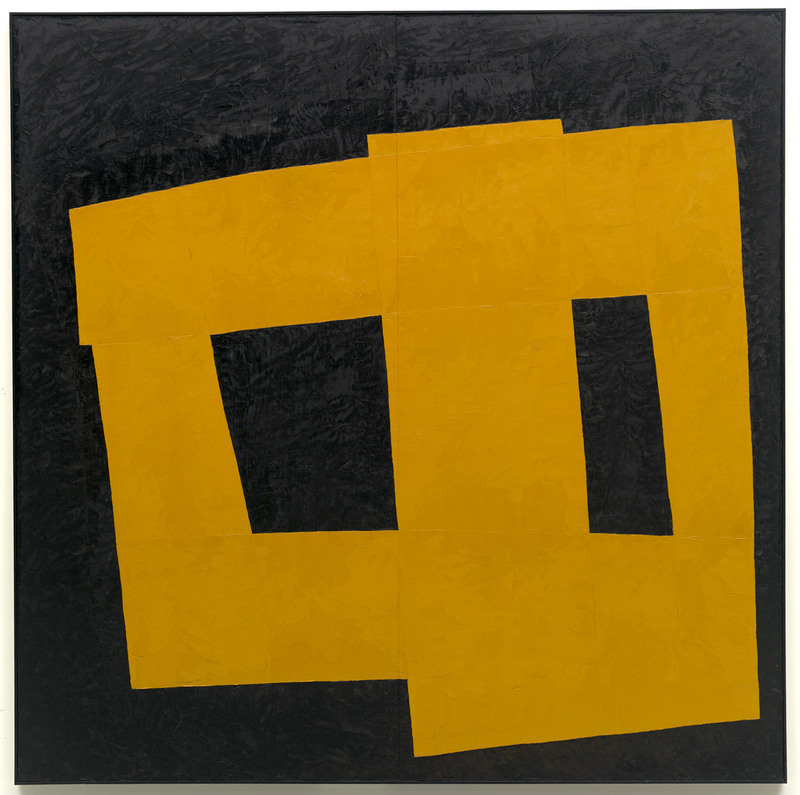 Comprising approximately 100 works by nearly 70 artists, the exhibition explores international trends in abstraction in the decade before the Guggenheim’s iconic Frank Lloyd Wright-designed building opened in October 1959, when vanguard artists working in the United States and Europe pioneered such influential art forms as Abstract Expressionism, Cobra, and Art Informel. In the 1950s, many countries ended their postwar isolationism and entered a phase of cultural openness and internationalism. The prominent French art critic Michel Tapié declared the existence of un art autre (art of another kind), a term embracing a mosaic of styles, but essentially signifying an avant-garde art that rejected a connection with any tradition or past idiom. With works by Karel Appel, Louise Bourgeois, Alberto Burri, Eduardo Chillida, Lucio Fontana, Grace Hartigan, Asger Jorn, Yves Klein, Willem de Kooning, Georges Mathieu, Isamu Noguchi, Kenzo Okada, Jackson Pollock, Pierre Soulages, Antoni Tàpies, Maria Helena Vieira da Silva, Takeo Yamaguchi, and Zao Wou-Ki, among others, the exhibition considers the artistic developments of the post-World War II period and draws greater attention to lesser-known artists in the museum?s collection alongside those long since canonized. 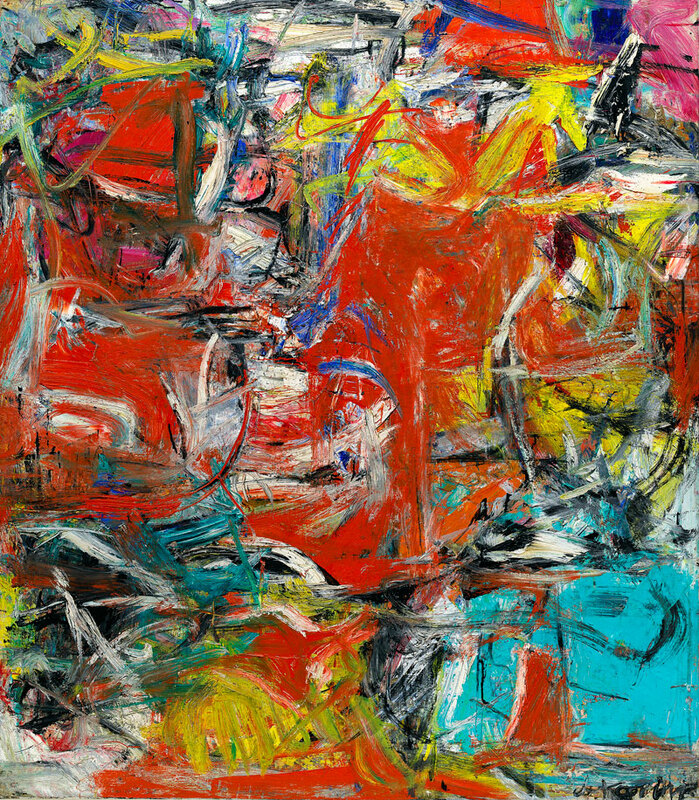 Abstract Expressionism encompasses a diverse range of postwar American painting that challenged the tradition of vertical easel painting. Beginning in the late 1940s, Pollock placed his canvases on the floor to pour, drip, and splatter paint onto them. This gestural act, with variations practiced by William Baziotes, De Kooning, Adolph Gottlieb, and others, was termed “Action painting” by American critic Harold Rosenberg, who considered it a product of the artist’s unconscious outpouring or the enactment of some personal drama. 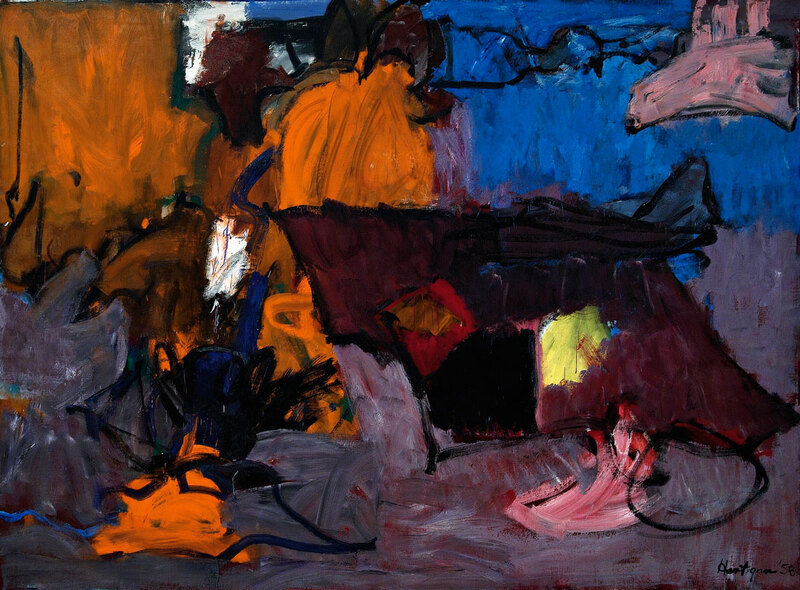 The New York school, as these artists were called due to the city’s postwar transformation into an international nexus for vanguard art, expanded in the 1950s with the unique contributions of such painters as James Brooks and Hartigan, as well as energetic collagist-assemblers Conrad Marca-Relli and Robert Rauschenberg. Other painters eliminated the gestural stroke altogether. 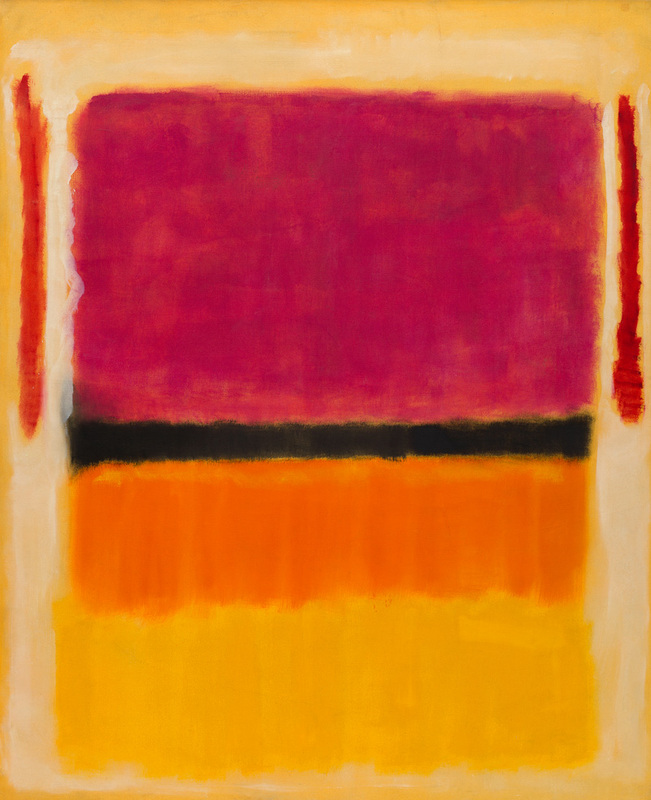 Mark Rothko used large planes of color, often to express universal human emotions and inspire a sense of awe for a secular world. Welder-sculptors such as Herbert Ferber and Theodore Roszak are also counted among the decade’s pioneering artists. The postwar European avant-garde in many ways paralleled the expressive tendencies and untraditional methods of their transatlantic counterparts, though their cultural contexts differed. For artists in Spain, abstract art signified political liberation. Dissenting Italian artists correspondingly turned to abstraction against the renewed popularity of politicized realism. French artist Jean Dubuffet’s spontaneous approach, Art Brut (Raw art), retained figurative elements but radically opposed official culture, instead favoring the spontaneous and direct works of untrained individuals. 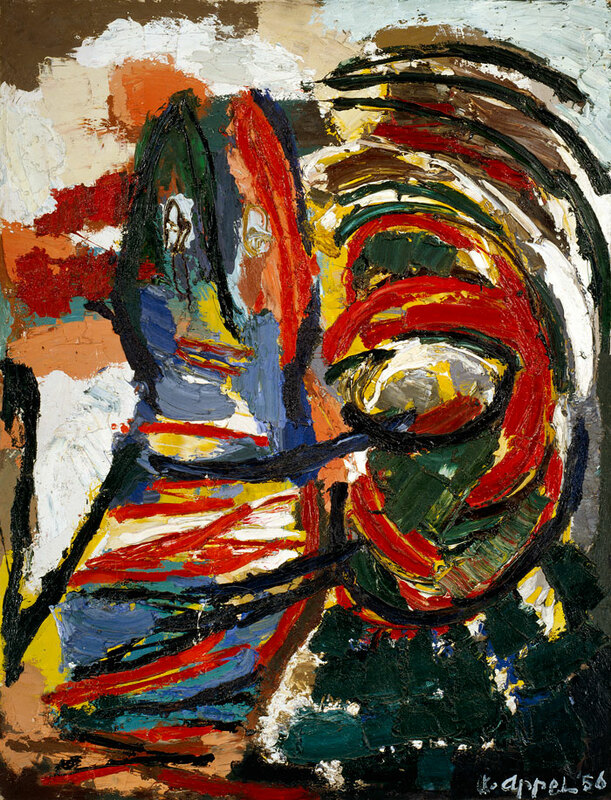 His work influenced the Cobra group (1948-51), which was founded by Appel, Jorn, and other artists from Copenhagen, Brussels, and Amsterdam. The Cobra artists preferred thickly painted surfaces that married realism to lively color and expressive line in a new form of primitivism. Eventually taking root in France, Germany, Italy, Japan, and Spain, Art Informel refers to the antigeometric, antinaturalistic, and nonfigurative formal preoccupations of many European avant-garde artists, and their pursuit of spontaneity, looseness of form, and the irrational. Art Informel is alternatively known by several French terms: Abstraction lyrique (Lyrical Abstraction), Art autre (Art of another kind), matiérisme (matter art), and Tachisme (from tache, meaning blot or stain). The movement includes the work of Burri and Tàpies, who employed unorthodox materials like burlap or sand and focused on the transformative qualities of matter. Asian émigré artists Kumi Sugaï and Zao were likewise central to the postwar École de Paris (School of Paris) and melded their native traditions with modern painting styles. By the end of the 1950s, artists such as Lucio Fontana, Klein, and Piero Manzoni were exploring scientific, objective, and interactive approaches, and introduced pure monochrome surfaces. 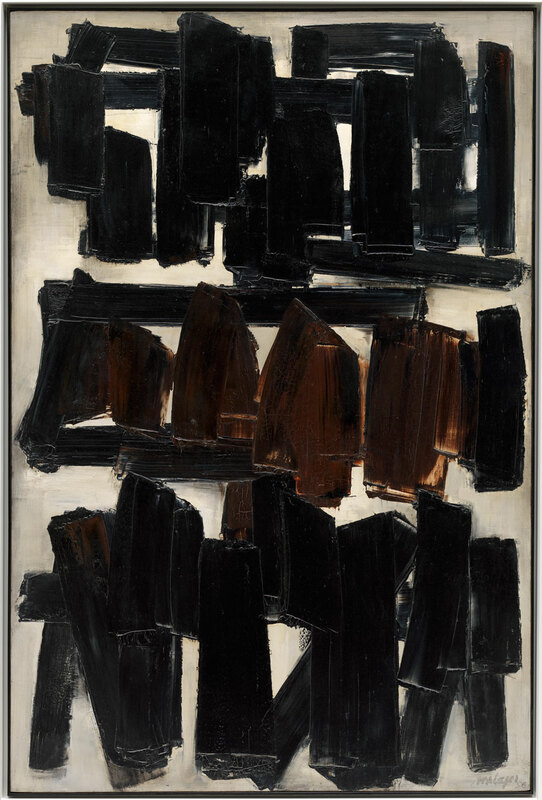 Other abstractionists engaged viewers’ senses and explored dematerialization, focusing on optical transformations as opposed to the art object itself, and investigating the effects of motion, light, and color. Through the presentation of these varied styles and innovative developments in the post-World War II years, Art of Another Kind especially highlights paintings and sculptures that entered the Guggenheim collection under James Johnson Sweeney, the museum’s second director (1952-60). Following Solomon R. Guggenheim’s death in 1949 and the end of founding director and curator Hilla Rebay’s tenure in 1952, Sweeney championed emerging avant-garde artists and augmented the museum’s existing modern holdings with new works. Sweeney had stated, “I do not believe in the so-called ‘tastemakers,’ . . . but in what I would call ‘tastebreakers,’ the people who break open and enlarge our artistic frontiers.” His program of exhibitions and acquisitions considerably broadened the museum’s scope, and his vision included reconsidering the founding collection assembled by Solomon and Irene Guggenheim under Rebay’s guidance by uniting the abstract works by Vasily Kandinsky and other modernists with rarely seen representational works for a more complex perspective of the avant-garde in the first half of the twentieth century. Recently, the Guggenheim Museum highlighted his contributions to the institution in The Sweeney Decade: Acquisitions at the 1959 Inaugural, an exhibition featuring a selection of works that were first unveiled at the 1959 show in the museum’s new Wright building. 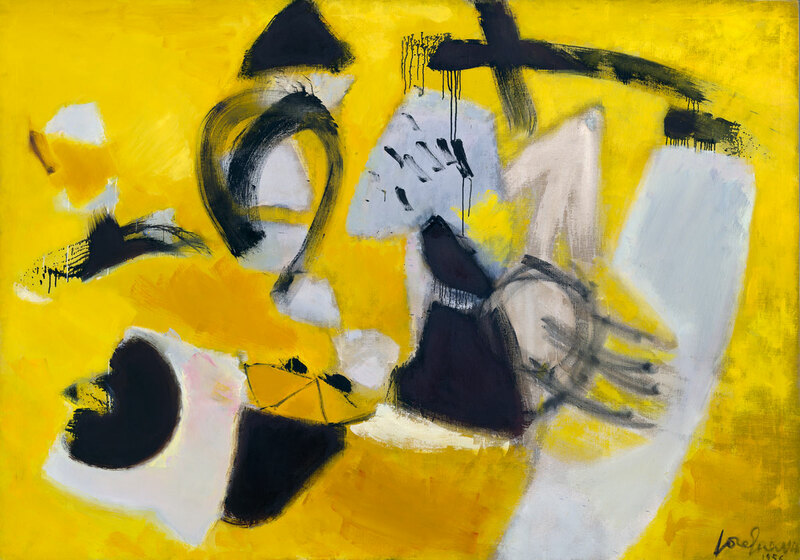 On view in 2009 as part of the museum’s 50th-anniversary celebrations, The Sweeney Decade featured 24 paintings and sculptures from the 1950s collected under his leadership. Art of Another Kind offers a more comprehensive elaboration of his vision along with works that were added to the collection after his tenure. 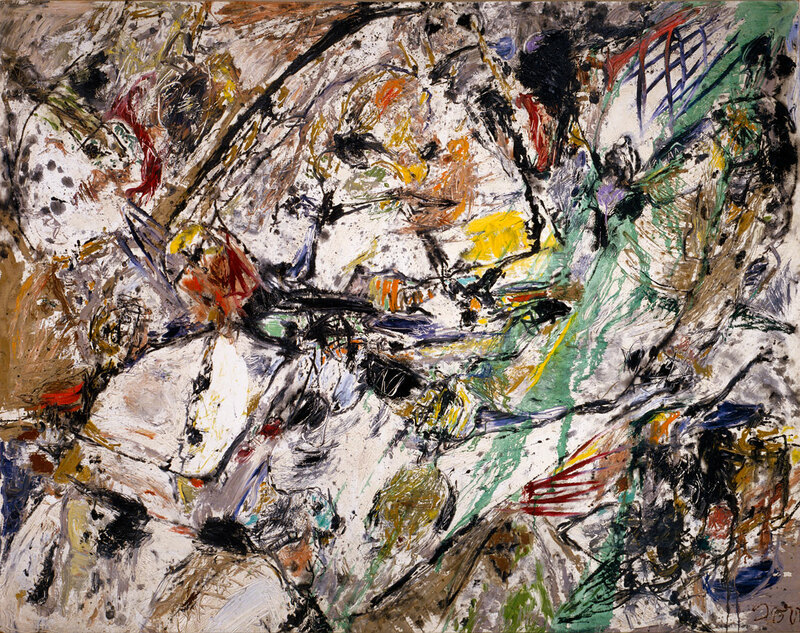 While the exhibition explores individual styles, diversity within abstraction, and artists often working independently of established groups or affiliations, works are loosely organized according to artists’ locus of activity and stylistic trends: New York school; Art Brut and Cobra; School of Paris; Spanish and Italian Informalism; Kinetic art; and, finally, late 1950s experiments with matiérisme, performance-based painting, and the monochrome. Highlights within the installation include Outburst (Éclatement, 1956) by Judit Reigl, newly acquired in 2012, and Alexander Calder’s Red Lily Pads (Nénuphars rouges, 1956), suspended in the upper ramps and visible from the rotunda floor below. The exhibition also includes the work of 11 living artists. Visitors will have the opportunity to browse through historic exhibition catalogues produced by the first full-time publications department established during Sweeney’s tenure. Designed by the Swiss-born typographer and designer Herbert Matter, catalogues from the era helped shape the museum’s visual identity and chronicle the development of the art championed by the Guggenheim under Sweeney in the 1950s. Selected books will be available in the museum at iPad stations and online at guggenheim.org/new-york/exhibitions/publications/from-the-archives.